Your gift funds the student education and groundbreaking discoveries that lead to achieving our BioSci goal: a planet without disease that is sustainable, diverse and with sufficient food for all its people. You become an integral part of transforming lives and the world around us for the better. Our faculty and students are involved in many aspects of cutting-edge research, from stem cells and diseases of the auto-immune system to Alzheimer’s and memory to computational interpretation of genomic data and restoration practices of our coastal lands. Our research goal is to address the most important issues related to resolving challenges we face in the realm of mind, body and world. Biology, the study of life, brings the most innovative approaches to these investigations and translates discoveries into solutions. Questions? Contact the BioSci Development Team at bio-development@uci.edu. The BioSci Ambassadors program provides an opportunity for alumni, parents and the community to actively support the School. BioSci Ambassadors provides the Dean with a critical means of financial support to make strategic investments into high-impact areas for the school. Those areas include strategic faculty hiring, graduate scholarships, proof-of-concept awards and other programs that rely heavily on the use of unrestricted sources of funding. Our members are a network of individuals who are committed to advancing research, education and public service in the biological sciences. Questions? Contact the BioSci Ambassadors Team at bsa@uci.edu. The Dean’s Excellence Fund is a flexible source of support for the School. It’s an insurance policy for students, faculty and programs that need it most, allowing the Dean to act quickly on important new opportunities or concerns. The fund is crucial to our ability to address urgent matters and continue our service as the life sciences education and research leader in Orange County and beyond. Approximately 80% of our students must utilize a form of debt to receive their education. 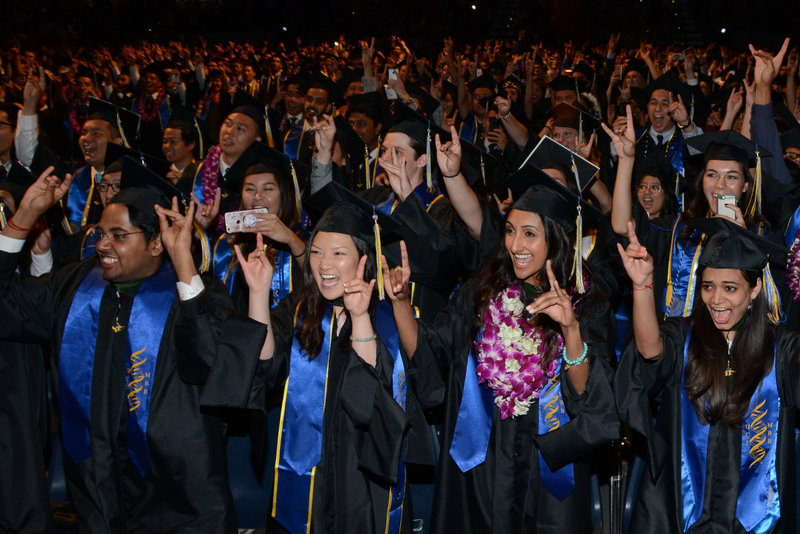 Endowed scholarships and fellowships support students in perpetuity, ensuring that exceptional young minds are able to come to UCI to learn and participate at the only education and research institution in Orange County. Support our emerging leaders in the medical and scientific communities by establishing an endowed scholarship or fellowship at the School.